We are always working hard to keep the children safe, including on their journey to and from school. 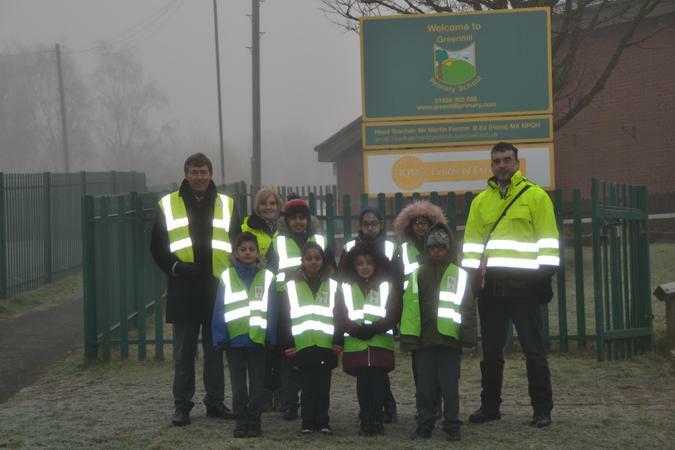 The Council's Road Safety team came to join us to encourage parents to drive and park safely around school. Parents are asked not to park near entrances and gates, including in front of the garages. They are also asked not to park on the paths outside the school. Our School Council children supported the project by carrying out a survey.